This month the theme for my Bostik craft box is Chinese New Year - which in 2018 will be celebrated on the 16th January, and the year beginning in 2018 will be the year of the Dog. I decided to make some simple Chinese lanterns which we decorated together. Take the piece of card and fold in half. 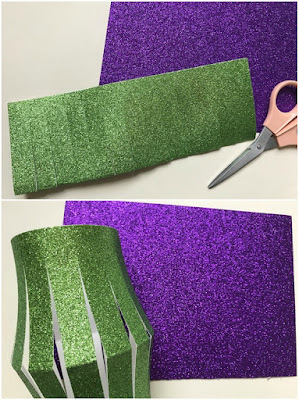 Use scissors to make a series of cuts about 1cm apart, starting at the folded edge and finishing about 1-2cm before the open edge. Unfold the cardboard, bend into a circle and staple in place at the top and the bottom. Tape the ends of a pipecleaner on the inside of the lantern to form a handle. You may want to secure it firmly in place with a couple of extra staples. Then wrap some washi tape around the top and bottom of the lantern to cover the staples. 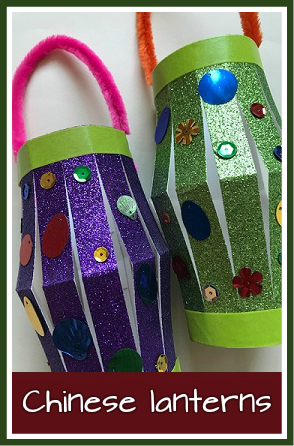 Decorate the lantern using coloured sequins. I used a mixture of White Glu and Foam Pads. The White Glu holds the decorations firmly in place and the Foam Pads make the embellishments stand out from the lantern for a bit of extra interest. When the glue is dry you can display your lanterns! 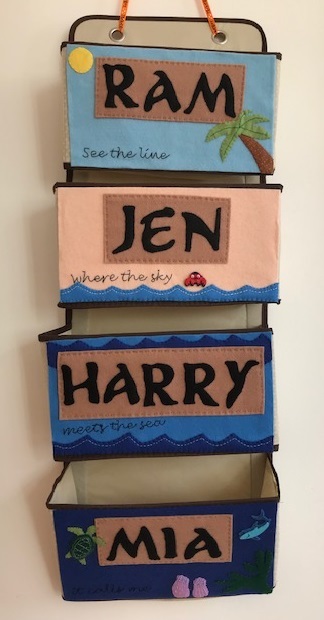 They look great hanging and it would be lovely to make a range of lanterns in different sizes for decorations - perhaps stringing them up as bunting!